Collingwood’s long and treasured relationship with Victoria Park continues on Saturday, as our AFLW side play their first ever match at Collingwood’s spiritual home. The Magpies will meet Melbourne in this round two clash and are keen to refocus with a home advantage after their one-point loss to Geelong in round one. 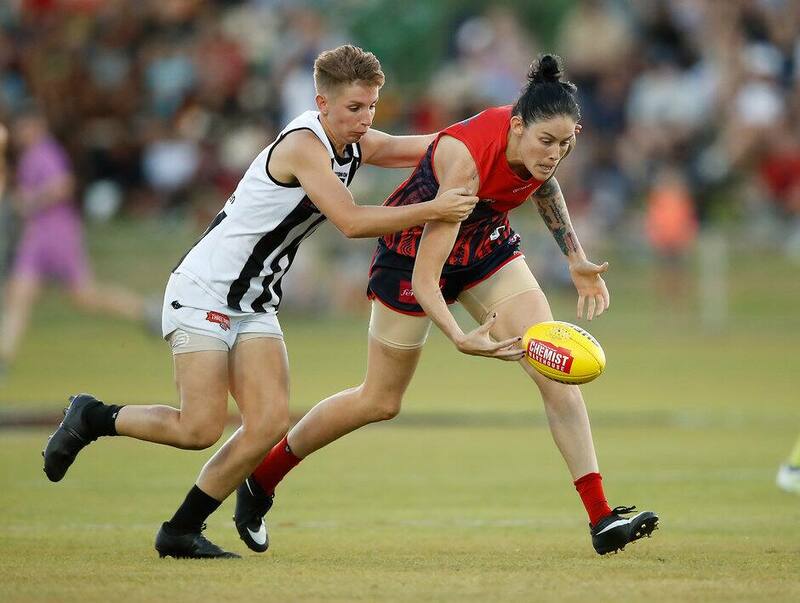 The Pies are likely to be without Sophie Alexander who took a heavy hit in last weekend’s match, sustaining a minor concussion as well as Kristy Stratton who suffered a broken hand in last week’s match. Melbourne will also be hungry to take the win having suffered a four-point loss against Fremantle last week. The Dees will be without debutant Shae Sloane, who tore her right ACL in the match. And entry for this history-making match is FREE. A special replica Vic Park ticket is available for the first 500 collectors at Saturday’s match. Modelled on the original ticket stubs from back in the day, tickets can be collected from the at the entrance on Lulie and Turner streets. Got old Collingwood gear? Then, we’d love to see it! To celebrate all things historical, the Collingwood Archives team will be available on the day to take a look at your old supporter gear, and maybe share a story or two from its era. All Collingwood supporters, young and old, are encouraged to come along and bring an item from the club’s storied past – we’d love to see it! Just before the first siren, the historical Vic Park bell will sound to mark the beginning of new era in our club’s history. Catch up and coming junior talent as our NAB AFL Auskick participants show their stuff on ground. Make sure you’re in your new or vintage Collingwood gear, and the best dressed will be selected to take part in NAB’s Kick for Cash at three-quarter time! Bring along your footy and enjoy kick-to-kick after the final siren. Parking around Vic Park is extremely limited, so using public transport is recommended. However, there is small car park located on Turner Street, opposite the precinct’s entry gates. The Victoria Park Railway Station (Abbotsford) can be accessed using the Mernda and Hurstbridge train lines. For more information about train times and schedules, please click here. For more information about bus and tram access, please click here. A bar will be available for both alcoholic and non-alcoholic drink purchases. If you can’t make it to the match, catch all the action live on 7Mate and Fox Footy from 4.30pm (AEDT). Alternatively, Victorian listeners can tune into SEN+ 1377AM or radio coverage. Follow @CollingwoodFCW Twitter + @Collingwood_fcw for live updates throughout the match.